IGS has data from about 15 different breed associations. They have 180,000 genotyped animals in the evaluation. Two years ago, they have 65,000 animals genotyped in IGS. Most of these were males. So, in the last two years they have almost tripled this number and have added many more females, through programs such as Cow Herd Roundup. IGS uses the BOLT software developed by Theta Solutions. This software allows many different types of models to be fit. IGS fits the single-step hybrid model. In single-step BLUP, you blend the pedigree relationships with the genomic relationship to have a single relationship matrix. In single-step hybrid you blend the genotypes and pedigree to infer genotypes for every animal in the pedigree. 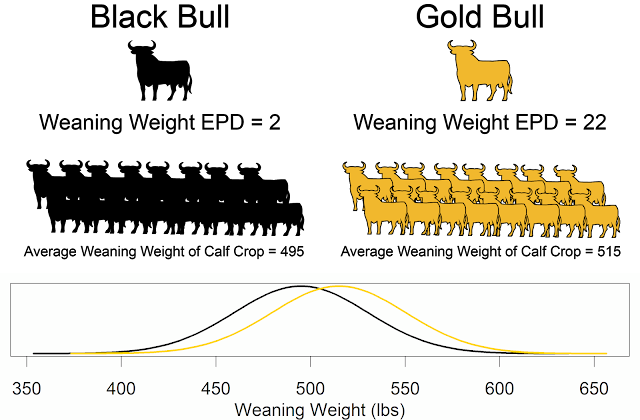 They then use the marker effects to estimate breeding values. In their genetic evalution they use a subset of markers that they have identified as predictive in multiple breeds. This subset of markers provides more accurate predictions compared to using all 50,000 markers. Saatchi performed validation work comparing the old system to the new hybrid BOLT model. He used data collected prior to 2015 and validated in data collected after 2015. The new hybrid BOLT model was more accurate. IGS uses multi-breed and complex models to achieve more accurate genetic predictions. 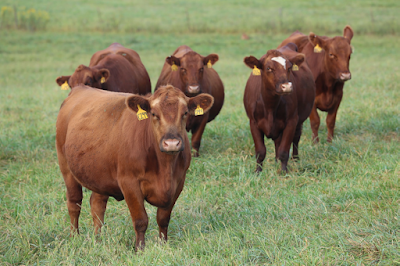 IGS wants to add new traits such as heifer pregnancy and feed efficiency. They also want to continue to refine which markers are included in their marker subset.